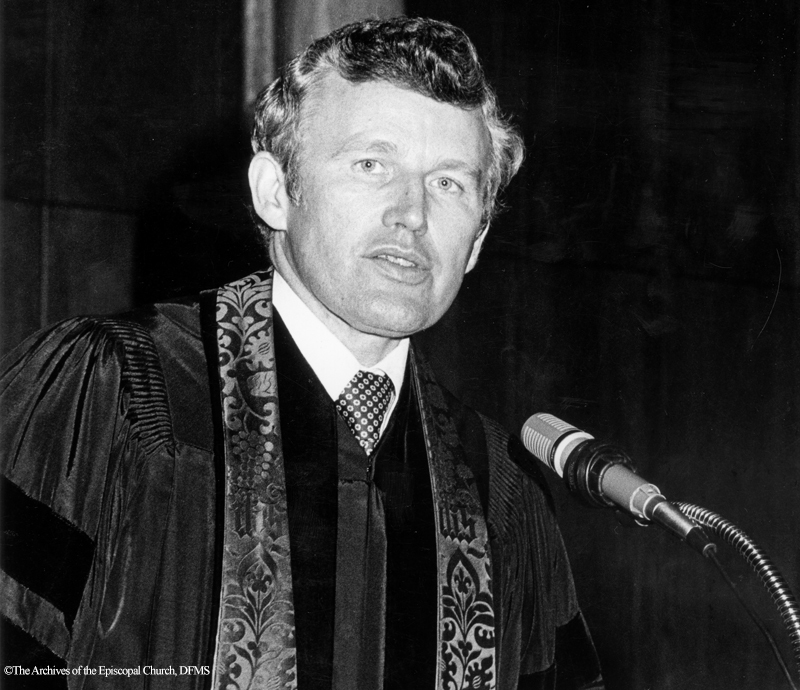 The Reverend John Rowan Claypool (1930-2005) had a dynamic career as a preacher, author, teacher, and spiritual counselor. His experience with personal tragedy and the struggle to find healing and hope inspired a confessional witness in his preaching that was both compassionate and influential on the ministry of others. With this exhibit, curated from the Claypool Papers housed at The Archives of the Episcopal Church, we share his story and invite you to be inspired. This exhibit marks the Archives’ opening of the Papers of John Rowan Claypool, which is a complete ministerial archive of a noted American preacher. His writings speak to modern themes of redemption, personal Christian witness, and the transformative gift of life. 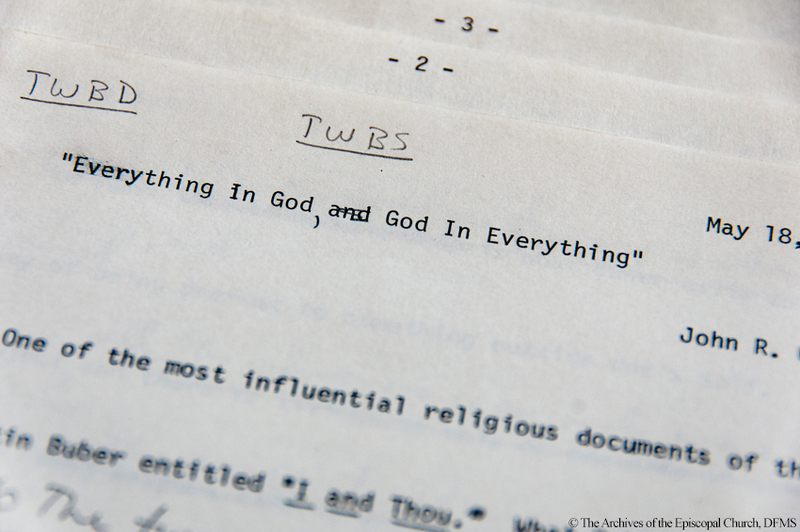 It was John Claypool’s habit to mark his manuscript sermons with the dual inscriptions “TWBD” (Thy will be done) and “TWBS” (Thy will be spoken) that evoked his hope of accomplishing the preacher’s task to convey the word of God as a compelling call.